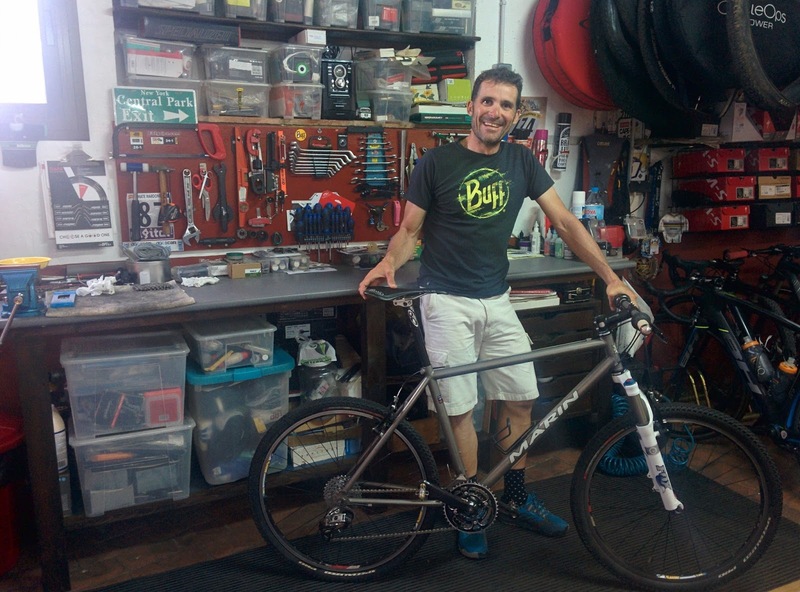 World Championships, World Cups, Cape Epic, Andalucia Bike Race, Trans Andes Challenge, TransAlps, Trans Mongolia, cyclocross, road, multidisciplinary, multi-talented, disciplined and from Ojen, we bring you Antonio “Cora” Ortiz. Ahhh … You do not know who he is? No, he doesn’t race enduro (better not, he will certainly not give any one a chance to the podium) and no, he is not a downhiller racer. 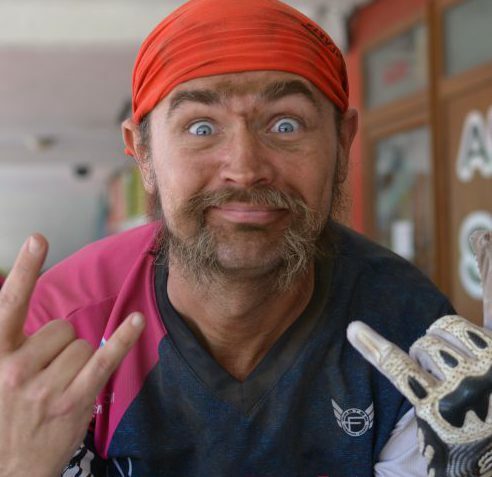 He is one of those legendary Spanish MTB riders that continue to soldier on after 20 years. He has shared experiences, careers and team with other major Spanish known riders, including “Quillo” Marquez also from Ojen, Pau Zamora, Iñaki Lejarreta, Hermida, Coloma and many more. He has been focused on recent years on stage races with Buff-BH team and travels the world doing endless days long races. Let’s have a chat with him on his terrace and later he will show us what he has on his basement. Yari: Who is Antonio Ortiz “Cora”? Where are you from, where do you live? Cora: Antonio Ortiz, from Ojen (Málaga, Spain) since my birth, citizen of the world. Yari: Why that nickname “Cora”? Do you remember who used first? Cora: You know, kids, school, everyone had his own nickname. Can’t remember who, why or when they started to use it, but today everyone know me by Cora. 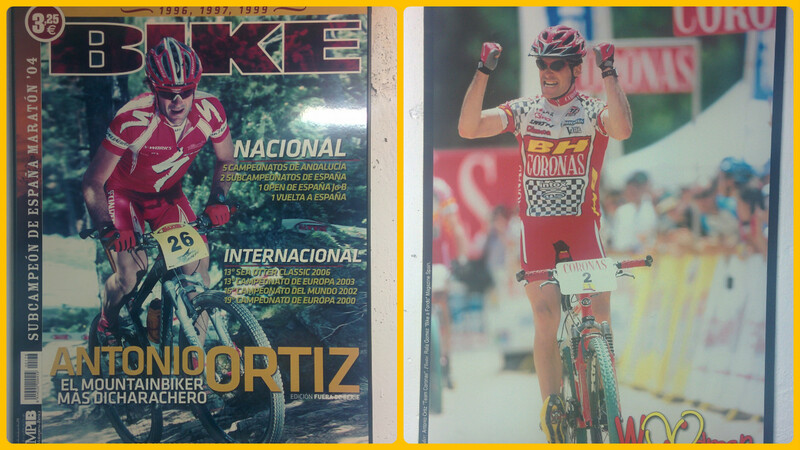 Cora: Ojen has a long standing cycling tradition, back in late 80’s and begining of the 90’s was one of the few places in Spain to have organized mtb races. 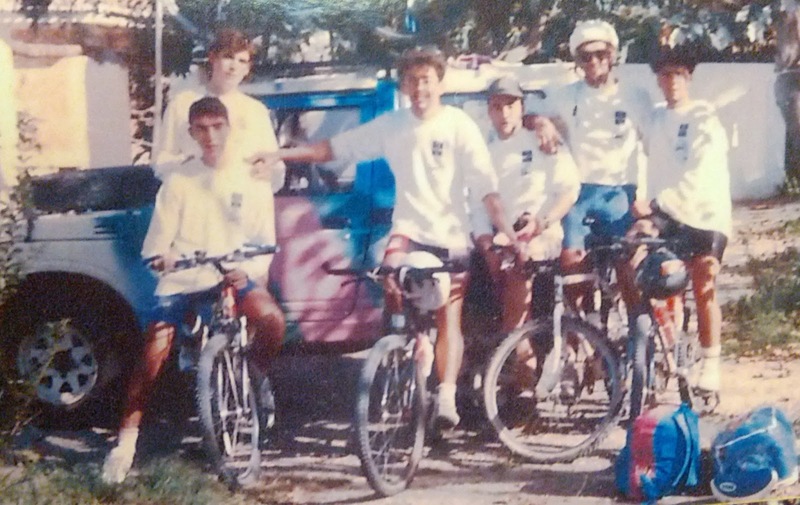 And don’t know how I ended up in 1991 going with several friends, Poba, Jorge “Churrero”, Jóse “Quillo” Marquez, Maki, Mauri and some other firends to a championship in La Zubia, Granada, since then I never stopped pedaling. Yari: How is racing at elite level? Cora: Racing and cycling is my world. Professional racing used to be my work. As years pass by you learn a lot. You learn about yourself, to be self confident, to know your limits and your goals. Nowdays I still race, but at my own pace, ofcourse I want to win, but not winning is also an option. I learned to lose, that’s another thing you should learn and live with that. Cora: TransAlp, due to the cumulative climb you gain during the days of the race and also, because of the high level of all riders that participate. 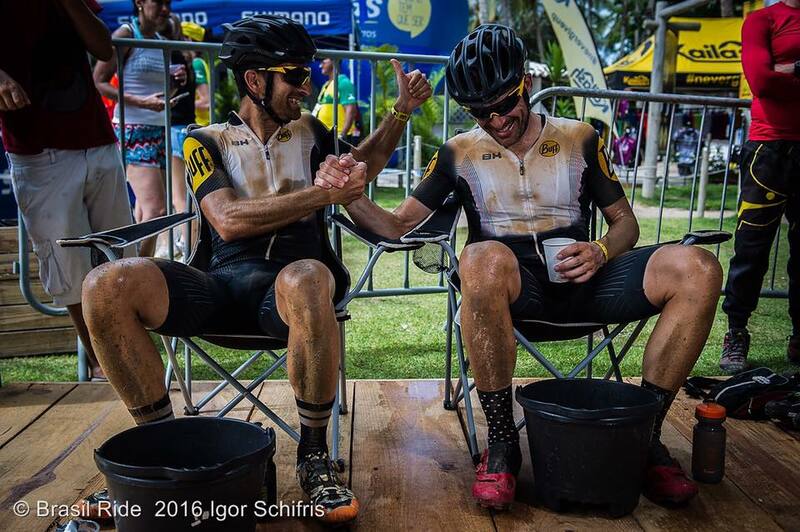 Cape Epic is also another difficult race, riders are all top notch and the heat is crazy. But I adapt better to Cape Epic type of race, so definetely TransAlp. Cora: Yes, I still race. 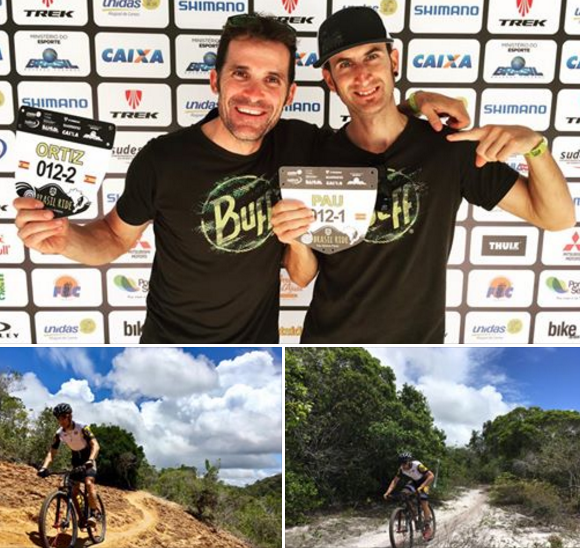 I’m currently with Buff-BH team, mainly racing multi-stage multi-days races all over the world. Cora: I keep really nice memories from all the worlchampionships, world cups, european cups, etc. But perhaps from latest races I would say Breck Epic, in Colorado. Man, more than 80% of the race is on singletrails, that’s amazing!! Also, the high altitude is a big thing on this race, you get to do mountain crosses above 3000m height. Cora: Amulet no, but obsessions many. I’m methodical, I like to have everything under control, keep everything tidy and organized. Cora: Perseverance and persistence. Some people are born with certain gifts and they only need to develop them. But I was not born cyclist, I became a cyclist, I worked my qualities and have learned to make the best out of them. Cora: As years go by, I’ve less of them. One of them could be that sometimes I try too hard and demand too much from myself and sometimes I don’t have the expected results. I’m not the best climber or best descender but I do good on all of them. Cora: Each one has its own capabilities. This is similar to cars, there are 4×4, familiar, trucks, small city cars, etc, each one with its own specific needs and qualities that make it the best fit for what it was created. Same for the different wheel sizes. For what I do, marathon and XC, 29er are the best. 27.5 are really fun to ride with. The plus size gives you more confidence. And 26, well, some people now look back and say how we have accomplished so much on that “tiny” sized wheels…jajajaja!! Yari: Which rider impresses you the most nowdays or is your preferred? Cora: There are lot of good riders, but maybe the most complete right now is Nino Shurter. He has gained respect from everyone and he is a mass idol right now. He has a really amazing technical skills that not many riders have. But I would like to mention Absalon, he has been up there for many years at a really high level. Cora: I’ve met some really well known riders, you can call them even MTB legends. But I would say that from them all, Thomas Frischknecht, he was a natural talent, he won everything, both on MTB and ciclocross. There are lot more names to mention, but if I should pick one, would be him. Cora: I try at least to do 2 MTB rides per week and all the other days I do road cycling, combining power and intensity training. Cora: As for the landscape, I would say the Alps. But as for the technical terrain and singletracks, definetely Colorado, USA. Cora: When I do road cycling I combine mountains and flat terrain on the sea shore. But with the MTB I really like to go to Purla just 5km from my place, my “little Whistler” as I call it, due to the awesome vegetation and trails on that small area. I used to train a lot around my village, Ojen, but after a huge fire some years ago, I almost can’t bear to ride and see the destruction caused by the fire. But thanks to the efforts of many and nature itself, the area is quickly recovering and in couple of years maybe will be the place I remember. Cora: Yes, I would certainly race one of them. Is something that persons like Poba and others have been doing for years, but now they named it enduro racing. Is a very complete style of racing, you have a mix of power, endurance and technical skills all in one race. All riders enjoy it and all brands too. Cora: At an amateur level I see lot of interest and participation in races. But at elite and pro racing I don’t see a generational shift, I don’t see new riders at the highest level required for international racing. 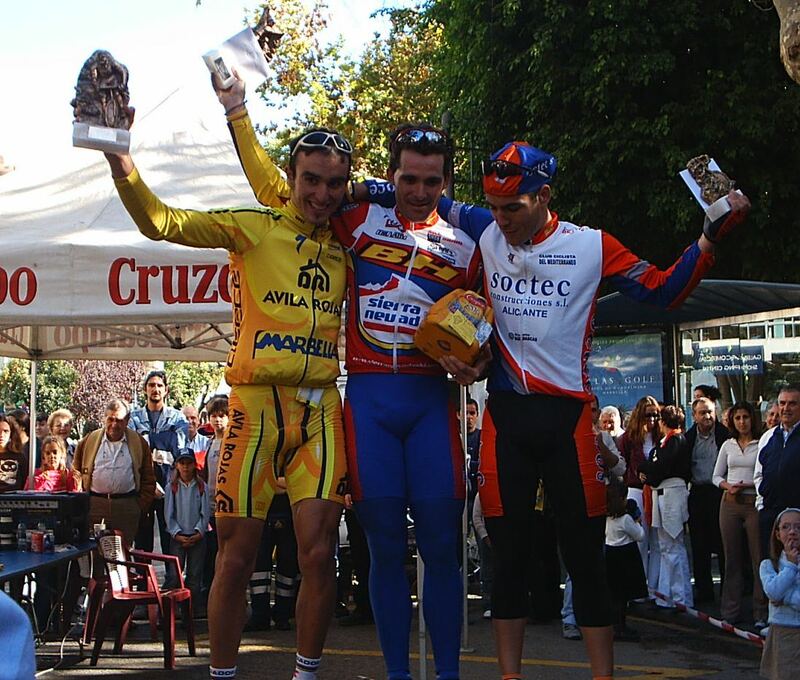 Ten or fifteen years ago we were about 10 spanish racers at top level, always fighthing shoulder to shoulder with other riders all over the world for the top20. Right now, I don’t see so many. Cora: Whenever anyone asks, I try to share my story, tell them what motivates me, I try to share as much I can from my experiences. Cora: Enjoy. Above all, enjoy what you’re doing. Cora: Try not to over do it, try not to compare yourself with other riders that are way up above your level. If you do that, you will increase injuries possibility. Most important of all, enjoy the ride, if you enjoy it, everything else will come by itself. Cora: Well, all my life levitates around cycling, so is hard to separate my free time from it. But in general, I like to have breakfast at home, spend time with my friends and travel. As a really good friend, Javier Sanchez Sarria, would say: I could have more money but I will not live better. Cora: I like all kind of music, each one for its own moment. I like old classic rock and pop in spanish. Cora: Oh man, Game Of Thrones. I never though that I would be so hooked up, mainly because the kind of histories it talks about is not what I would think I would like. But I would say is a reflection of my live, you need to do whatever it takes to get what you want. Cora: Hmmm… definetely chocolat, and lately I’m enjoying coffee a lot. Cora: Keep learning, enjoying what I do and in general, keep growing on all aspects of my life. 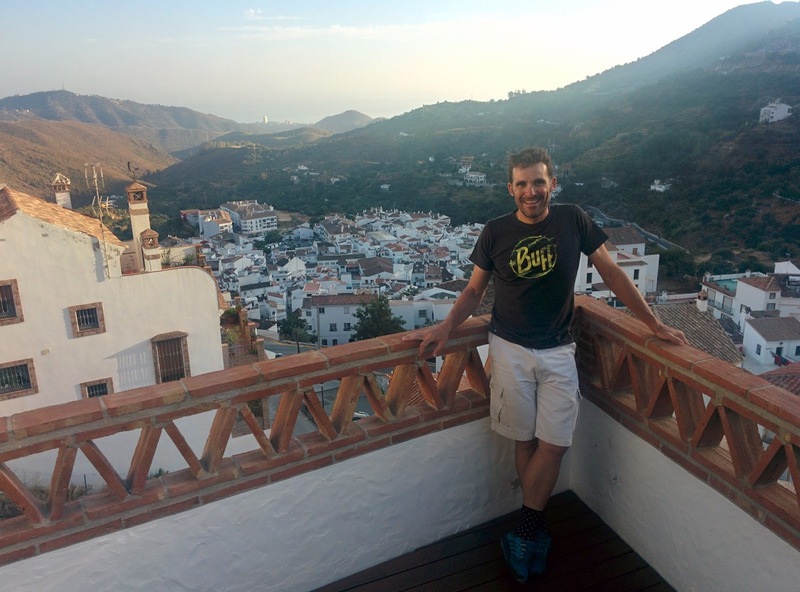 We say bye to Cora from his awesome house terrace, overlooking Ojen village, Marbella and Mediterranean sea. On clear days Africa and Atlas mountains can be seen far in the horizon. Big thanks to you Cora for your time and patience!! Follow Cora on Facebook and Instagram to know about his last adventures, races and projects.